Wide printhead for extra-fast printing. Breakthrough printhead technology for exceptionally refined print quality. This system allows for you to get the longest dated and genuine products available. Designed to last an impressive 16,000 pages the Hewlett Packard C4810A is an exceptional product. Constructed using HP latest advances in printer technology this C4810A black printhead ensures the Business Inkjet 1000 (and many other printers) always offers the very best quality prints.Each colour cartridge in this range has its own printhead so you never again have to dispose of a partially used unit again. This means the C4810A and associated printheads make your printer more economical to use.With VAT and free delivery included in the price shopping with Refresh Cartridges is a great choice too! Click here for more details. HP 920 impresora para HP 6000 6500 6500A 7500A 7000 B109A / B110A / B209A / B210A / C410A / C510A. B109A / B110A / B209A / B210A / C410A / C510A. 6000 / 6500 / 6500A / 7000 / 7500 / 7500A. OfficeJet 7500A. Manufacturer Part No. : C4901A, HP940, HP-940, HP 940. Product Type: Printhead. HP Cashback. HP Toner Cashback. 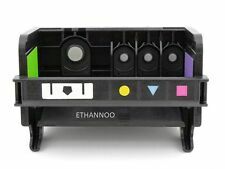 Compatible Ink, Toner & Labels. HP 564 cabeza de impresión de 4 ranuras para HP CN688A 3070 3520 5525 5520 5510. MPN CN688A 3070 3520 5525 5520 5510. HP 3070 3520 5525 5520 5510. Volver aceptado si los artículos encontraron defectuoso en el recibo. HP 364 5-ranura de la cabeza de impresión CB326-30001 para C309a de impresora PhotoSmart c310a c510a. para HP impresora PhotoSmart C309 C310a C510a cabezal de impresión. Cabezal de impresión CB326-30002. Model: CN688A. HP 3070 3520 5525 5520 5510. Your visual Photo is good for us to take action for you. TESTED IN GOOD WORKING SITUATION. We are very glad to help you resolve the problem. CB326-30001 CN642A. 564 5 slot Print Head. 5 SLOT PRINT HEAD. for HP PhotoSmart Printer B8500 B8550 B8553. for HP PhotoSmart Printer C309 C310a C510a PRINTHEAD. 564 5-slot Print Head CB326-30001. Compatible Printer Model. Nueva original HP 364 5 -slot cabezal de impresión CB 326-30001 Para Photosmart C 309 A. HP Photosmart impresoras B 8500 B 8550 B 8553. Impresora HP Photosmart C 309 C 310 C A 510 un cabezal de impresión. HP PRINT HEAD FOR HP OFFICEJET 6000 6500 6500A 7000 7500A CN643A CD868-30001. COMPATIBLE MODEL Your visual Photo is good for us to take action for you. We are very glad to help you resolve the problem. Suitable printer model: for HP T120 T520. CISS model: for HP711. It can use repeatly, it will save your cost greatly. GENUINE ORIGINAL HP 10 PRINTHEAD CYAN. Printer: Suitable for HP 6600 6700 6100 7610 7612 7110 printers. Printer: Suitable for HP 6000 6500 6500A 6500AE 7000 7500A B109 B209A. CN688 printhead 3070 3070A 3525 5510 4610 4620 4615 4625 5525 printing head. OEM code C4900A. HP 940 Black and Yellow Officejet Printhead. Compatible Printers: HP OfficeJet Pro 8000, HP OfficeJet Pro 8500 A Plus, HP OfficeJet Pro 8500, HP OfficeJet Pro 8500 A Premium, HP OfficeJet Pro 8500 Premier, HP OfficeJet Pro 8500 Wireless, HP OfficeJet Pro 8000 Enterprise, HP OfficeJet Pro 8000 Wireless, HP OfficeJet Pro 8500 A, HP OfficeJet Pro 8000 Series, HP OfficeJet Pro 8500 Series. 4 pieces Nozzle connection For HP 500 510 800 T610 T1100 T770 T790 T1200 T1300 Z3100 Z2100 Z3200 Z5400. Suitable printer model: for 500 510 800 T610 T1100 T770 T790 T1200 T1300 Z3100 Z2100 Z3200. CISS model: for H P.
Use with: For H P 4000 4500 4020 4520 Z6100 Z6200. Suitable printer model: for HP 8100 8600 8610 8615 8620 8625 8630 251dw 276dw. CISS model: for HP 950 951. Easy to install, simply use. It can use repeatly, it will save your cost greatly. 1x Druckkopf Schwarz & gelb Typ C9381A. 1x Druckkopf Magenta & Cyan Typ C9382A. wiederaufbereitete Druckköpfe HP. HP Officejet Pro K550-Serie, 5400-Serie, 8600-Serie, K550 / K550DTN / K550DTWN / K5300 / K5400 / K8600 / K8600dn / L7000 / L7400 / L7500 / L7550 / L7580 / L7588 / L7600 / L7650 / L7680 / L7681 / L7700 / L7710 / L7750 / L7780 / L7880. HP Officejet Pro K550-Serie, 5400-Serie, 8600-Serie, K550 / K550DTN / K550DTWN / K5300 / K5400 / K8600 / K8600dn / L7000 / L7400 / L7500 / L7550 / L7580 / L7588 / L7600 / L7650 / L7680 / L7681 / L7700 / L7710 / L7750 / L7780 / L7880. Descriptions Product Condition: Remanufactured Printhead Compatible for: HP OfficeJet 932 933 XL HP OJ 7110 7610 6100 6600 6700 series Printer Package Includes 1 x CB863-60133 Fit FOR HP932 933 XL HP OJ 7110 7610 6100 6600 6700 Print Head Brand Canon UPC Does not apply EAN Does not apply MPN CB863-60133 Compatible Series HP932 933 XL HP OJ 7110 7610 6100 6600 6700 Marca Unbranded. Descriptions Professional refurbished Genuine 940 Cyan/Magenta C4900A and Black/Yellow C4901A Printheads for HP OfficeJet Pro 8000 and OfficeJet Pro 8500 Printers. Expiration 2014-2015. The printers are compatible: ? ?/span> OfficeJet Pro 8000, OfficeJet Pro 8500. Note: The print head sent without retail box. Package Includes. Usa la función de limpieza automática de la impresora para limpiar la printhead 2 a 3 veces. Todos los productos tienen garantía de satisfacción 100%. ¡Garantizamos su satisfacción! ¡IMPORTANTE! Políticas de envío. For HP Scitex FB7500 / FB7600 printers. Job Lot of HP Print heads. 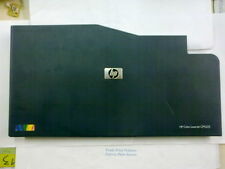 HP 364 cabeza de impresión de 4 ranuras para HP CN688A 3070 3520 5525 5520 5510. MPN CN688A 3070 3520 5525 5520 5510. HP 3070 3520 5525 5520 5510. Todos los artículos incluyen una etiqueta de devolución para que pueda devolver cualquier artículo que usted no está satisfecho con. Suitable printer model: for HP 6100 6600 6700 7110 7610 7612. Easy to install, simply use. It can use repeatly, it will save your cost greatly. Printer: Suitable for HP 8100 8600 8610 8620 8680 8615 8625.